Lube Mobile’s large fleet of mobile mechanics will have your next Mazda Service completed on time and wherever you’d like us to be. There’s no need, or living a busy life time to book your car in at the Mazda Service Centre or try to arrange another car to get you around. 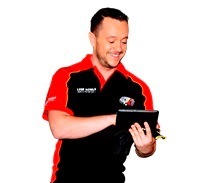 Our mobile mechanics are available across all major areas to meet you at your place of work, at your house, on your holidays – wherever you are! For an affordable, convenient, and quality Mazda Car Service, think Lube Mobile. Our fully qualified mechanics offer a range of Mazda vehicle service options catered to your car’s specific needs and requirements. We use only the best quality oils, fluids and Mazda level of specification parts or better making sure that your car continues to perform at its highest level possible. Our range of mobile Mazda vehicle services include models like CX-5, BT50 and Tribute through to 323s and small town cars like the Mazda 3 and 6 series. We Also carry out a large Range of repairs to Mazda including car battery, alternator, starter motor, radiator, fuel pump, clutch kit and brake pads. Check out our repairs section above to get a price online. Booking couldn’t be simpler. Either give us a call on 13 30 32 and speak with one of our friendly customer service agents or use our fast and easy online booking system which will give arrival times in real time 24 hours a day and Sundays. With a few bits of quick information regarding your car’s make, model and year, we can have the details of mechanic availability in your area back to you in mere moments, including the time and place of your choosing. There’s no need to wait around for your local mechanic anymore or try to arrange your schedule around Mazda’s schedule. Lube Mobile offer fantastic value with our fixed price services and the convenience of knowing you can have your car serviced anywhere you like. Give us a try today and experience the convenience of qualified technicians delivered to your door. I would like to say thank you to Nicholas (Nick) for his professional and warm conduct. He was in contact regularly and did his best to fix the issues with my car as soon as possible. I have never had a mechanic so prompt and thorough. My car has never been in better condition - I am thrilled, thank you so much. I will definitely be using your service again! I have been having my car serviced at a dealership since I bought it 6 years ago but after my recent first Lube Mobile service my car feels better than it ever has after previous services! Thank you. The mechanic who came out to service my car was diligent, courteous and upfront with his quality of service he provided me. 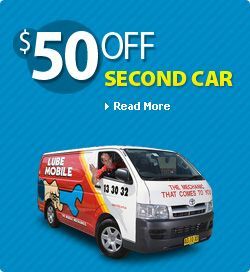 Due to the circumstances and condition the car was in when your mechanic got it Lube Mobile was certainly the right company to choose for the job scope at hand. Thank you both to the mechanic and Lube Mobile for getting me back on the road again.